Isabel is one of the most widely read Spanish-language authors, with her books translated in more than 35 languages and 65 million copies sold. Allende's novels are a homage to the lives of women, bringing together myths and realism. She gained worldwide recognition after “The House of the Spirits” (1982) was published. She left Chile after the 1973 coup d’etat, and fled to Venezuela where she lived with her husband and two children. In 1988 she married for the second time and moved to the U.S. and was granted American citizenship in 2003. 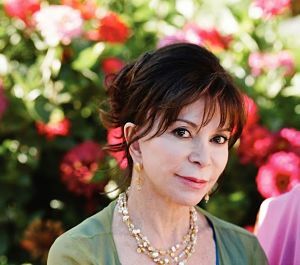 Isabel started the Isabel Allende Foundation in 1996 in her honor of her daughter Paula, who died at the age of 28. The Foundation supports programs that promote and preserve the fundamental rights of women and children to be empowered and protected. Fun Fact: In 2006, Isabel was one of the eight flag bearers at the Opening Ceremony of the Winter Olympics in Turin, Italy.